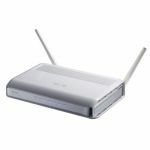 The D-Link Media Streaming Kit (DAP-1562) includes two Media Streaming Adapters (DAP-1560) and enables you to easily upgrade any router to support streaming of High-Definition (HD) multimedia content over a wireless connection. 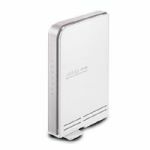 Connect any Ethernet-enabled device in your entertainment center like your game consoles, Digital Video Recorder (DVR) or Digital Media Adapters (DMA) to the DAP-1560 to upgrade your network and enable dual-band wireless streaming up to 600Mbps1. 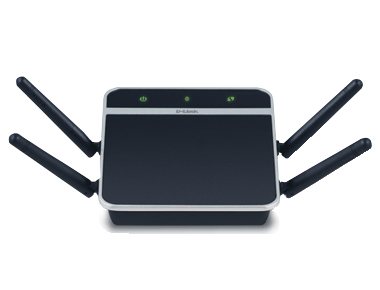 Selectable dual band (2.4GHz or 5GHz) enables you to select the wireless signal that best fits your network usage. With speeds up to 600Mbps1, you can use the clearer 5GHz band to stream High-Definition movies and other media, and enjoy lag-free gaming, with less interference, giving you a better wireless experience with the fastest speeds possible. The DAP-1560 is equipped with Quality of Service (QoS), which helps organize and prioritize the data streams in your network so your VoIP, HD Video streaming, and gaming runs smoother over your wireless network. The DAP-1560 is a D-Link Green product, which means it helps you conserve energy. It saves power by detecting cable length and adjusts its power consumption so that the energy is efficiently used. Any unused ports automatically enter power-saving mode to keep energy use to a minimum without sacrificing performance. The DAP-1560 is the first true 4x4 spatial streaming WLAN on the market, it uses all four of its antennas to send out multiple data streams simultaneously, boosting the data rate up to 600 Mbps1. Selectable Dual Band technology enables you to stream HD videos and enjoy lag free gaming with less interference on the 5GHz band or chat, email and surf the web on the 2.4GHz band. The D-Link Media Streaming Adapter (DAP-1560) enables you to easily upgrade any router to support streaming of High-Definition (HD) multimedia content over a wireless connection. This device lets you create a ‘bridge’ between two different physical media types. 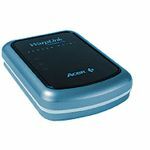 This versatile kit transforms your wired device into a wireless one without the added hassle of installing Ethernet cables.